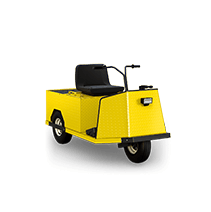 Motrec electric vehicles never compromise safety for performance—or vice versa. 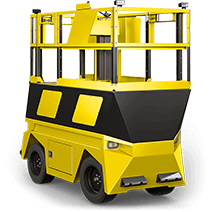 Each and every Motrec vehicle—from our standard models to our fully customized designs—is built from the wheels up to ensure the safety of operators and those around them. Our vehicles are also built to consistently deliver reliable and realistic performance. We take our reputation for delivering on our promises seriously, and we back it up with recognized industry standards you can trust. Testing methodology that guarantees your Motrec vehicle will safely offer the promised level of performance. Some manufacturers boast phenomenal vehicle performance. But is it realistic in a commercial or industrial setting? More importantly, it is safe? Even if the vehicle can actually tow a massive load, can it stop on a dime if needed? On a downward slope? count on safe, dependable performance. To earn our engineering team’s stamp of approval, each Motrec vehicle must first undergo extensive physical testing and demonstrate its ability to offer safe, consistent performance with loads exceeding its stated capacity. Even in unforeseen circumstances, your team and investment will be well protected. 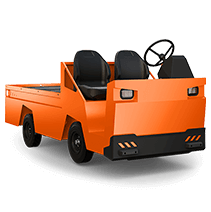 Every Motrec vehicle boasts an impressive list of standard safety features that let operators and managers get the job done with full peace of mind. 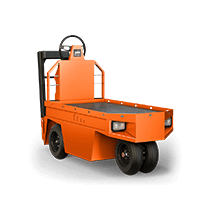 Our ergonomic designs also help to prevent the operator strain and fatigue that can lead to accidents. UL (Underwriters Laboratories) is an American worldwide safety consulting and certification company with more than a century of expertise innovating safety solutions. Occupational Safety and Health Administration is the main federal agency of the United States Department of Labor charged with the enforcement of safety and health legislation. For more than 90 years, the American National Standards Institute has overseen the U.S. private sector’s voluntary standardization system. The CE (Conformité Européenne) marking indicates a product’s compliance with EU legislation and so enables the free movement of products within the European market. 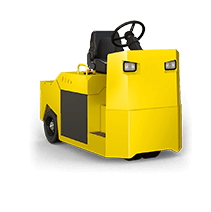 See how Motrec vehicles can help you create a safer, more productive workplace.